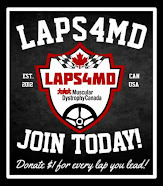 When it comes to living with Muscular Dystrophy if you are not already living in a place set up to handle your specific physical needs then a move will soon become your main priority. As our muscles weaken many of us already know we must do our best to plan ahead by finding a place to live that is capable of handling our current and future needs. This is the stage in life with Muscular Dystrophy I am now facing as my current place of residence is quickly making my life more challenging than it should be. I guess that's what you get for living in a small apartment in a building originally built in the early 1900's. While it does provide a lot of character the lack of accessibility due to it's age is really starting to make life a lot more difficult. Originally the plan was to live here for just a few years we just didn't expect the cost of rent to sky-rocket so high in our community. Now whenever we do find the perfect place to move that can handle my specific needs we quickly find out the cost well exceeds what we can afford. A reality many are facing due to the high cost of living in the area we currently reside. Some have even suggested moving to a smaller community where rent would be much cheaper but that would mean living a far distance away from our family and friends. Something that wouldn't be easy for us to do. Currently I am facing a few challenges in my current apartment building due to inaccessibility. I can't even access the laundry room as it is in the basement and can only be accessed by using a set of stairs. My hope for this year is to somehow be living in a new accessible apartment building before winter time. As winter adds in a whole other set of issues for me when it comes to living in our current apartment building. At times just getting to my vehicle through all the ice and snow can be a major difficulty. This since the parking lot and walkways remain icy most winter days. This can result in me being stuck inside simply due to that fact it is impossible for me to walk anywhere safely. There is no doubt that with all the issues I am facing in my current building the time has come for me to move. I am just hopeful this much-needed move happens in at least the next few years. In the end, it is very important for those of us with physical disabilities to live in places set up to handle our current and future needs. As this not only results in making our lives easier but the lives of our care takers as well. Which for many of us includes our spouses and parents who already do so much for us on a daily basis. I simply want to take a bit of the pressure off my wife who already does all the heavy lifting. That is why I want to live in a place that also improves her quality of life as well. 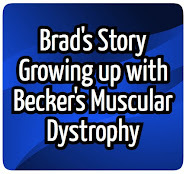 I just hope we can afford to make this move very soon, or hopefully one day I win the lottery so I can afford all the things listed in my blog post entitled: "The Top 10 Must-Haves for those with Muscular Dystrophy"
A look at what I like to call "Weak Days"
Welcome to the My Becker's Story blog! 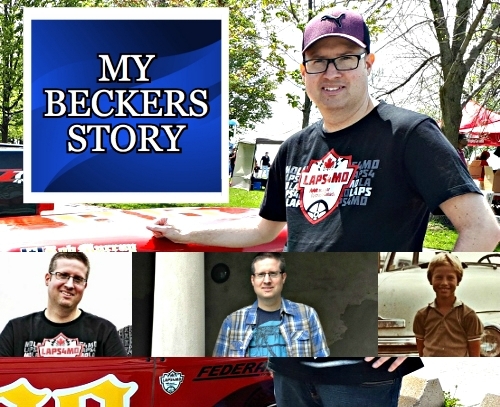 Connect with My Becker's Story today!